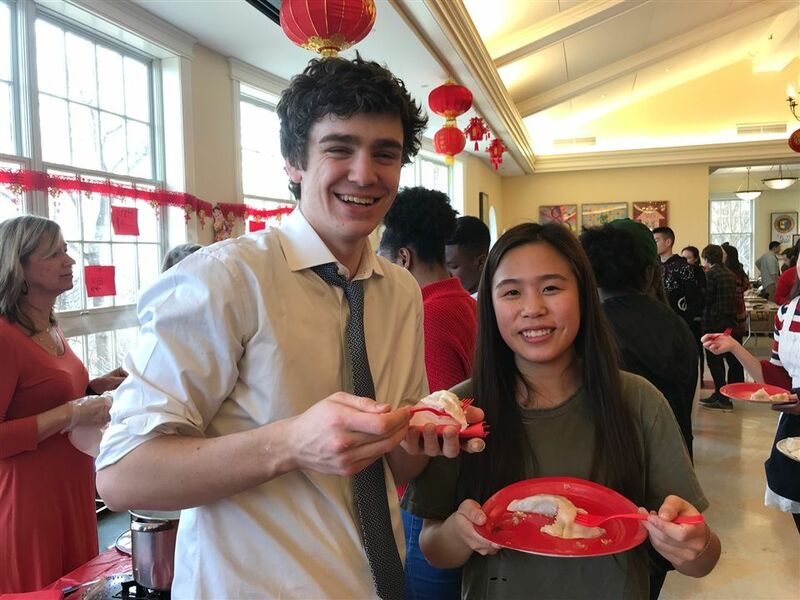 On Wednesday, February 6, Hopkins held a joyous celebration of the Chinese New Year and the Year of the Pig in Heath Commons. 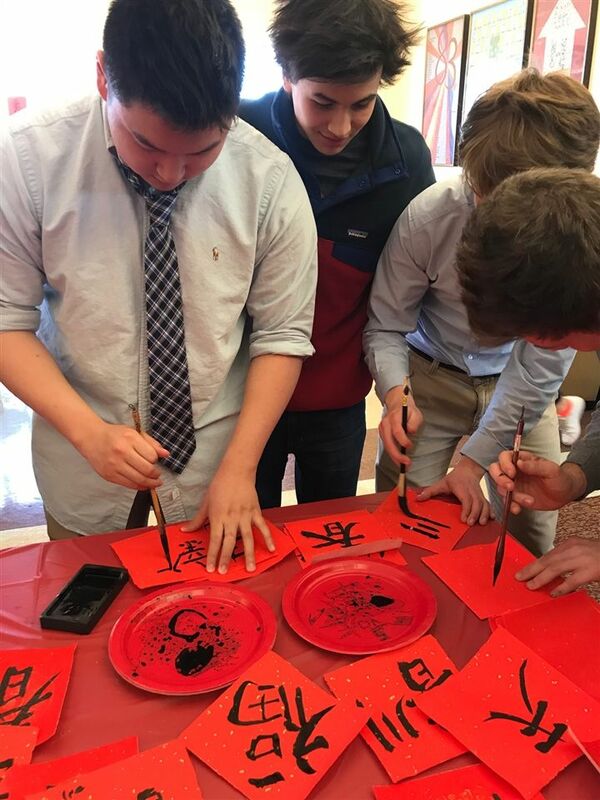 The Commons was transformed with beautiful decorations and various stations which allowed students to explore activities including dumpling making, calligraphy, games, using chopsticks and more. 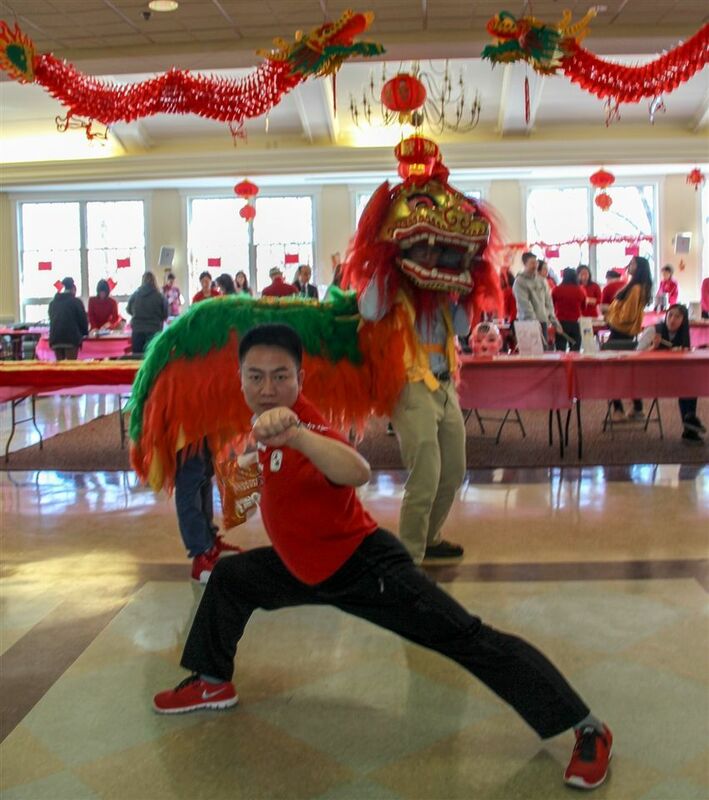 Students enjoyed demonstrations by special guests Mr. Hou Tien Cheng, a renowned Chinese paper cut artist; Master Jack from WuDang Kung Fu Academy in Chinese Martial Arts, who also helped students perform the dragon dance; Mrs. Bowu Zhang, who shared her beautiful hand embroidery and paintings; and Ms. Faye Chen who shared her intricate paper carvings. 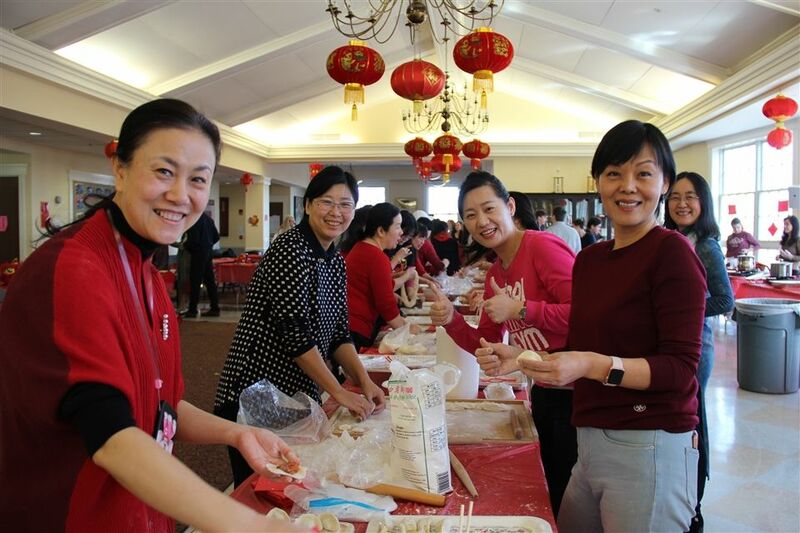 Many thanks to the wonderful parent volunteers who helped to make the event a success, along with our Chinese teachers Mrs. Lan, Mrs. Qi, and Mrs. Ran for arranging a wonderful celebration! 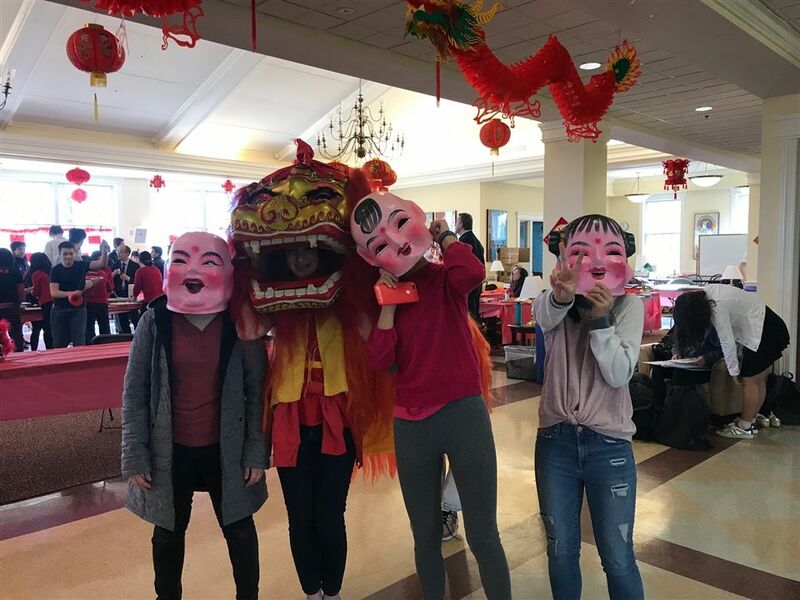 Please watch the attached videos for a New Year message from our sister school, Yali-Pecui in Changsha, China, as well as some clips from the celebration.